The OMDC-MPU-A geartooth pick-up provides speed sensing capabilities using an integrated hall-effect sensor in conjunction with a permanent magnet which supplies a bias field. This ready-to-use pick-up directly senses rotating ferrous gear and other similar gear-type targets. The OMDC-MPU-A Series is capable of sensing various target tooth sizes over wide ranges of airgap. The operational airgap achieved is independent of gear rotation speed. The small module size makes it ideal in applications where space considerations are of concern. 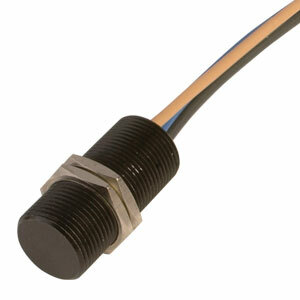 The rugged design allows the operation of these sensor assemblies in hostile environments where dirt and oil are major problems. For installation and wiring instructions... see "Specs" above for details.